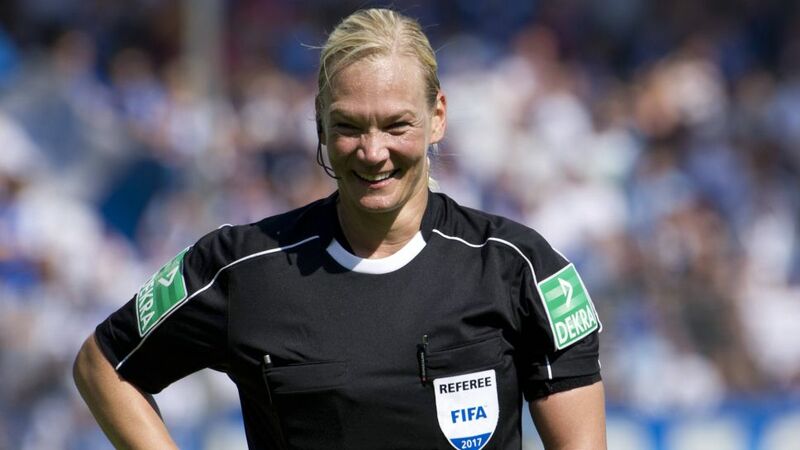 Bibiana Steinhaus will become the first female referee in Bundesliga history when she oversees Hertha Berlin's Matchday 3 clash with Werder Bremen at the Olympiastadion on Sunday afternoon (kick-off: 15:30CEST/13:30GMT). Steinhaus, a 38-year-old policewoman from Hannover, was added to the DFB's panel of referees in May after successfully overseeing Bundesliga 2 games since the 2007/08 season, but Saturday's encounter between the Old Lady and the Green-Whites will be her first game in Germany's top-flight - and indeed the first match ever refereed by a woman in the Bundesliga. "I wish her a good match," Hertha coach Pal Dardai was quoted as saying by German sports daily Bild on hearing the news. "She does a really good job." To mark the occasion, Hertha have offered discounts to women at the Olympiastadion. Steinhaus had already taken charge of one Bundesliga team this season, as she oversaw Bayern Munich's DFB Cup first round match in Chemnitz. Watch: Franck Ribery pranks Steinhaus in the DFB Cup! Click here for the Hertha Berlin-Werder Bremen match centre!